Levar, a once-outspoken member of the Rolling Sixties Crips had spent his adolescent and teen years in the California juvenile corrections system, he eventually turned 18 and served the remainder of his time on the yards of some of California’s hardest state penitentiaries — Pelican Bay, CSP, Sacramento, and Folsom State Penitentiary. His life on the yard was one of constant oppression, violence, and sorrow. Levar would spend weeks and sometimes months segregated in the “Hole” or “S.H.U.” (Secure Housing Unit). It was in the hole at Folsom State Penitentiary that Levar first picked up the Quran. Also segregated to the hole at Folsom was Levar’s future co-conspirator Shakyh Shahaab Murshid (born to the name Kevin James) and during their time together in the hole Kevin turned Levar onto Islam and onto a secret organization he founded in 1997 called Jam’iyyat Ul-Islam Is-Saheeh (JIS) Arabic for The Assembly of Authentic Islam. Levar’s foiled terror plot years later was to be claimed by JIS according to a pre-drafted press release FBI agents found on the floor of his apartment during his arrest. 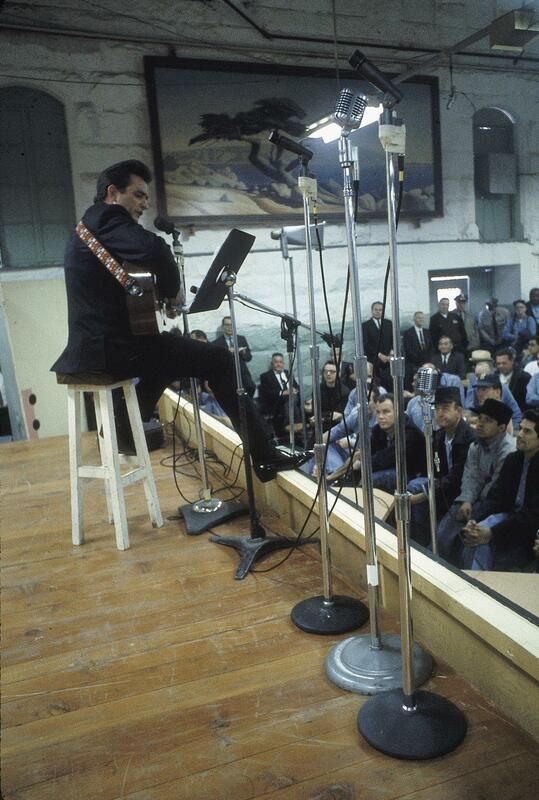 Cash’s words resonated with the Folsom men and prisoners everywhere, a stark contrast to the xenophobic rhetoric Congressman Peter King and some of his hand-selected witnesses used when trying to quantify prisoner radicalization. King and the “expert witnesses” displayed that the lens from which they view these serious issues through, retards their ability to confront real life issues of oppression and violence that impact all of us… For Levar the Qur’an answered his questions about justice, it gave his life a new meaning, it healed old wounds, and his relationship with the text was purely restorative. Peter King’s witnesses made an attempt to argue that it was the cherry-picking of the scripture itself or Islam by it’s very nature that led Levar down the path that eventually ended with his involvement in a terror plot years later. King’s hearings did so without fully acknowledging the oppression, violence, and conflict that enveloped Levar Washington’s life prior to his introduction to the faith. It may be easier for King to scapegoat a religion and chase fictitious bad guys in a system he does not fully understand then begin to address the all-too-real looming problems of disempowerment in inner city communities, xenophobia, failing foreign policies, poverty, and lack of education. All of these factors enable and encourage radicalization to a greater extent then religious scriptures do. King however is not alone with his approach. How often do we as a culture search for quick fixes to myriad ailments while disregarding our need to make lifestyle changes that challenge our personal comfort. From deeply personal individual battles with cancer to the global war on terror, human responses to these acute onslaughts are almost always reactionary and seldom preventative. Amidst the immediacy of our tragedies we rarely question what brought us to those malignant moments –instead we desperately reach for quick fixes– surgery, chemotherapy, torture, carpet-bombing. In the global war on terror preventative medicine is often practiced as pre-emptive military action, rendition, entrapment, torture, and sanctions. These means never challenge the cultural roots of the problem and often actually serve as a tool for recruitment. Like flourishing bacterial cultures in a petri dish, terrorism is a symptomatic cultural reflex that can be easily seen growing out of its own hospitable environments. Levar Washington is a reactionary by-product to poverty, oppression, and a life of incarceration, not a terrorist recruit of the Quran. Until King begins to acknowledge the predicate problems that spawn terror plots he will continue chasing his own xenophobic tail, will continue to offend America’s beautiful Islamic communities and will continue waisting US taxpayer money. 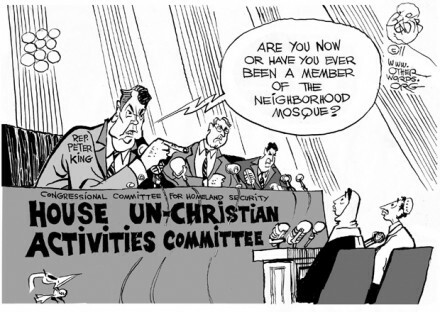 Tagged homeland security, Islam, islamophobia, Jam'iyyat Ul-Islam Is-Saheeh, JIS, peter king hearings, Prisons.